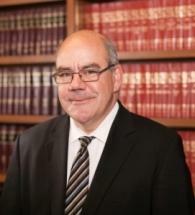 Sam is a partner with Howe & Hutton and earned his B.B.A. in finance from the University of Iowa and is a 1989 graduate of the Washington University School of Law in St. Louis. While at Washington University, Sam was elected President of his legal fraternity. He also possesses a Master of Laws degree in taxation. Sam brings Howe & Hutton extensive litigation experience at the state and federal levels. He presently serves the hospitality, entertainment, not for profit and trade association industries in the areas of contract negotiation and litigation. Sam has served twice as the chairman of the Trade and Professional Association Committee as well as serving on the Nominations Committee of the Chicago Bar Association.